Professor Simon Keay will continue his work on Roman towns in the Tiber Valley near Rome and Roman and Iron Age settlements in southern Spain. He will also work on a project to design a comprehensive web-based resource detailing Roman amphorae discovered throughout the Empire and beyond. Research in the Tiber Valley involves geophysics and other new scientific techniques to map towns such as Portus, the port for Imperial Rome, which was built by the Emperor Claudius and later extended by Trajan. Evidence has been found of temples, warehouse, canals and aqueducts. He said: "We can learn a great deal without the inevitable destruction of an excavation. Digging for evidence can be like cutting a piece from an ancient manuscript and trying to work out what it says from a single letter." Geographic Information Systems (GIS) are also used in Professor Keay's work around Seville. "We're interested in finding out about the relationship between towns and how they developed over the centuries by comparing architectural and archaeological evidence." The digital project involving amphorae will create a web-based resource for academics and researchers interested in tracking the origin of the pottery and how it may have been transported around the Empire. 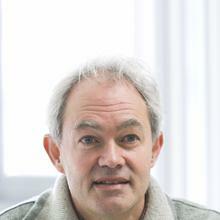 Grants for Professor Keay's projects have come from the Arts and Humanities Research Board. The Arts and Humanities Research Board (AHRB) funds postgraduate and advanced research within the UK's higher education institutions and provides funding for museums, galleries and collections that are based in, or attached to, HEIs within England. The AHRB supports research within a huge subject domain - from 'traditional' humanities subjects, such as history, modern languages and English literature, to music and the creative and performing arts.